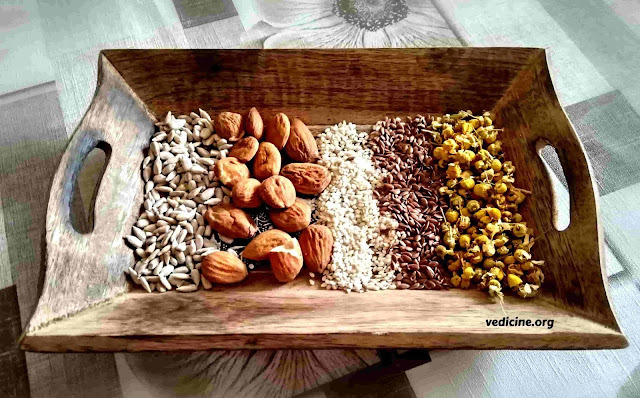 The tradition of Ayurvedic scrubs also known as Ubtans dates back to Vedic Age (3000 B.C. to 1500 B.C.). 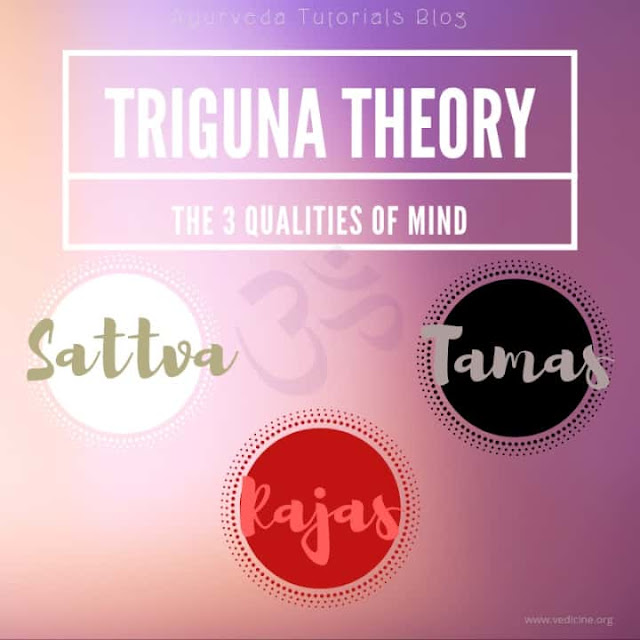 It has been used as a part of beauty rituals. Ubtan is a blend of different ground herbs that are combined with herbal oils or floral water to form paste that is rubbed over the whole body. In India, turmeric ubtan is traditionally still done as apart of the marriage ceremonies. 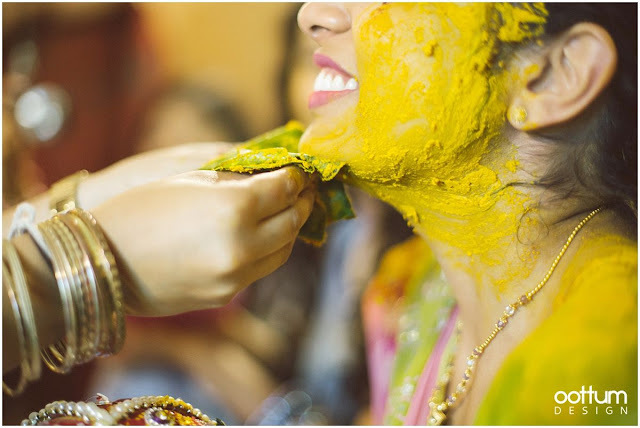 It is applied day before wedding on bride and groom's face, neck, arms and feet by their family members as a symbol of blessing and for aesthetic purposes. It is supposed to bring glow on their skin by removing dead skin cells and improve circulation. Ubtans also brings skin's pH back into balance, opens up blocked pores, cleanse skin impurities, stimulates lymph flow, gives you a healthy look and clears the energy channels (nadis). We shed between 30 000 to 40 000 of skin cells every minute. Exfoliating gets rid of those dead cells which pile up on the surface of the skin and leave skin looking dry, rough and dry. There is an old Ayurvedic saying “If you cannot eat it, don't put it on your skin”, so all ingredients for skin care have to be natural, chemical free and safe enough to be eaten. 3-5 drops of sandalwood essential oil (optional). Make sure your essential oils are pure, GMO free and with USDA certified organic label. Keep the powder in airtight glass jar for up to 6 months. When you want to use it, take ½ teaspoon of this powder in your palm and add few drops of plain water, rose water, aloe vera gel or herbal oil that have beneficial effects on skin (e.g. sesame seeds oil, jojoba oil, carrot oil, apricot oil, almond oil, coconut oil) to make a thick paste. Apply this paste onto damp face and let it sit for a 2 or 3 minutes. Gently rub it with upward circular motions. Avoid contact with eyes. After you have exfoliated your skin, wash the scrub off with warm water, pat dry and apply moisturizer. This fragrant Ayurvedic scrub leaves skin revitalized, fresh, soft and radiant. It is suitable for all skin types. You can use it once a week. Avoid if you have skin infections, extremely sensitive skin or if you are allergic to some ingredient on the list above.